For Native Americans having long hair is culturally relevant and significant. The importance of having long hair differs from tribes and nations. Some tribes’ belief long hair gives them power and knowledge, others feel connected to the cosmos, and some grow it long to honor their ancestors and culture. Many are unaware of the historical significance having long hair is to Native peoples. The impact of systematic colonization and forced assimilation brought on new euro-centric values and standards. Native American children were specifically stripped of their cultural identity in schools through not being permitted to speak their Native languages, being given new “white” names, wearing uniforms, and having their long hair forcibly cut short. It is important to acknowledge these kinds of racist practices in our school systems history to ensure students today safely can express their cultural identities in our schools. 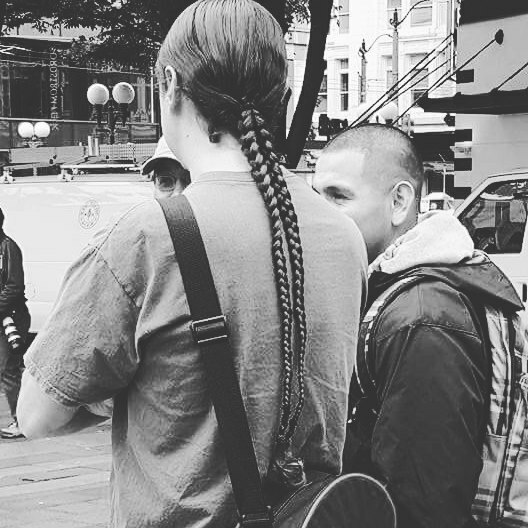 Growing long hair is a way many commemorate Native history and honor ancestors that were forced to “civilize.” Unfortunately, Native boys face ridicule, bullying, and often being called girls by not only peers but also adults in the school setting. These actions continue destructive colonizing tenants lingering in our schools and the impact on our Native students is tremendous. This is an Intent vs. Impact moment. Mistakenly identifying a student’s gender happens but the responsibility is on us to empower students who push our mainstream norms. Native student response to this kind of interaction can range from big to passive but none the less it breaks the spirit of Native students, taking away their independence and Nationhood. ·Be an ally to Native student. Ask them about themselves and how they choose to exhibit their culture to build stronger one-on-one relationships. Show the student you respect their culture and support their traditional practices. · Pay attention, acknowledge, and create space for Native student’s voice and knowledge in the classroom without making them the expert on all things Native American. · Accommodate multiple world-views acknowledging that of the 500 Native Nations in the US each has its own cultural norms and students today may present with multiple tribal affiliations/cultures. · Work with parents, elders, family, community, and tribal members to educate yourself and classroom. · You are on Indigenous land, learn about the tribes’ culture, customs, traditions, language, and community. This entry was posted in education and tagged Georgina Badoni, Hair, Last Real Indians, LRInspire, Seattle Public Schools, Uti Hawkins by lrinspire. Bookmark the permalink.